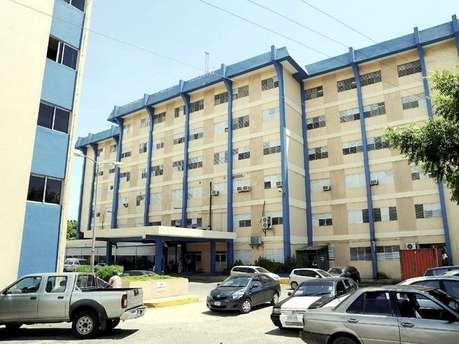 The Victoria Jubilee Hospital in Kingston is facing the possibility of a lawsuit from the parents of a baby who was stolen last month from the maternity hospital. The Police say it’s believed the baby was snatched by people involved in a child stealing ring. A woman was taken into custody earlier this week and is facing criminal charges. She was arrested when she attempted to register the baby this week. A DNA test yesterday confirmed that the parents of the child are Suzette Whyte and Sinclair Hutton. The baby was returned to his parents today. The parents have retained prominent Attorney-at-law, Peter Champagnie, who spoke with Nationwide News. Meanwhile, the police say charges could be laid against the woman who took the baby as early as this weekend. Crime Chief in the Kingston West Police Division, Detective Inspector Phillip Dodd, says the woman will face an identification parade.